Do you like roast beef? Do you drink tea or tisanes in the evening? What are your favorite go to sweets? Who wants to eat this pizza with me? Do you like fettuccine Alfredo? If you drink, what drink do you usually order? Heck yeah, God descended down from Heaven just to say "Have this cow. And make Roast Beef. Oh-a cow can produce milk? Don't remember putting in THAT but sure, make your milk. But make Roast beef first." Yup! It was my favorite kind of sub growing up, ironically I also love dark skinned women, so I guess I like that kind of Roast Beef too. Yes I do. Mostly I like beef cutlet. Yes if it's on a sub sandwich. Yes but only if it is cooked right. Can say that I do. Laurie's, ADULT'S ONLY, list of your favorite sexual fetishes and kinks! Relationship Advice Everyone Needs To Know! A Justification for the Criminalisation of Tobacco! Ten songs about hair 10 Benefits to Why a Girl Shall Stay Virgin Until Marriage! 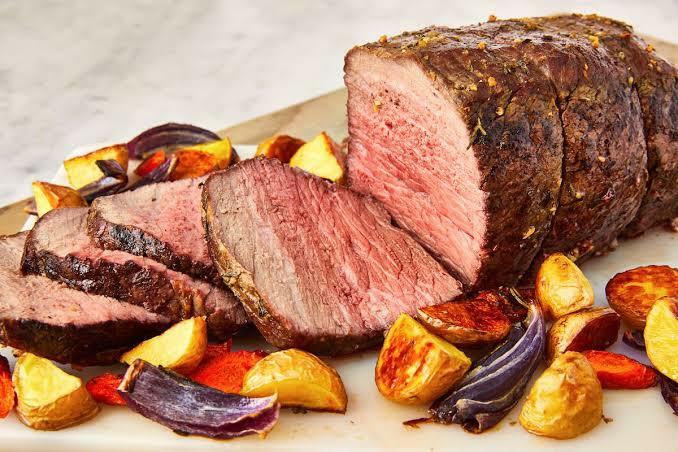 Home > Food & Beverage > Do you like roast beef?